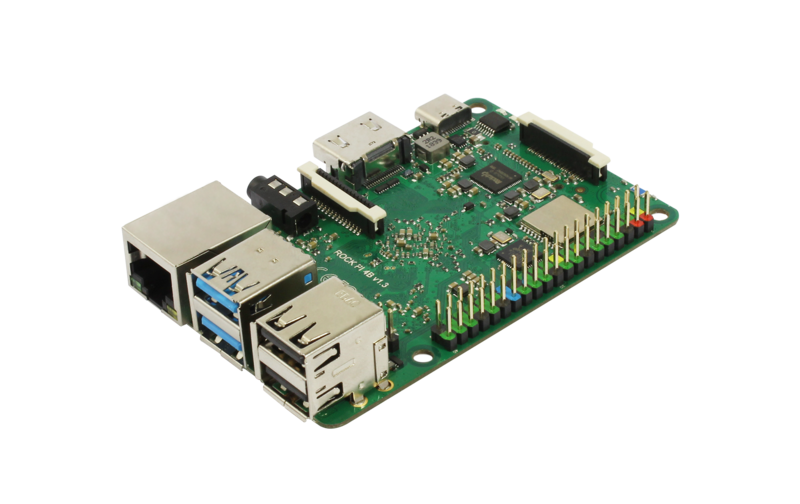 ROCK Pi has a modern and powerful hexa-core ARM based processor, RK3399 inside, it offers significantly improved performance versus other popular SBC boards. All models are equipped with LPDDR4 3200Mb/s RAM and optional high performance eMMC modules, boost all applications. ROCK Pi features maker friendly expansion options, including a 40-pin GPIO interface that allow for interfacing with a range inputs from buttons, switches, sensors, LEDs, and much more. 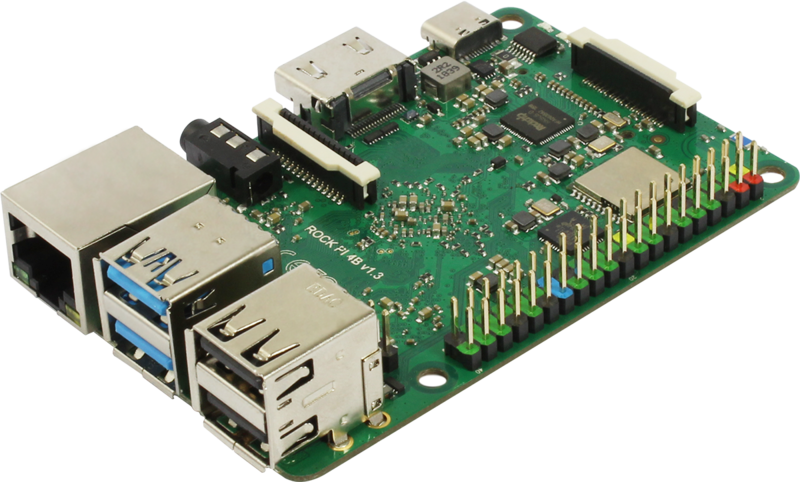 ROCK Pi also features a Gbit LAN for network, with dedicated bus and controller, it works without latency under heavy load network applications. On board 802.11 ac wifi offers 2.4G&5G WLAN connectivity. 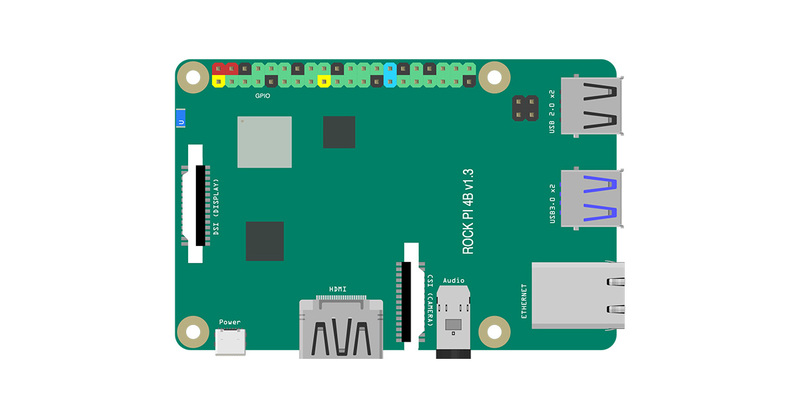 With Bluetooh 5.0, ROCK Pi benefits improved Bluetooth speed and greater range. 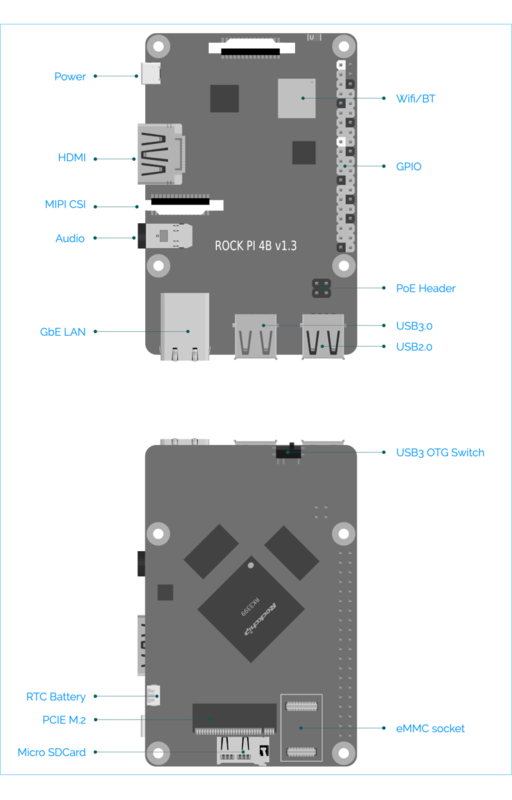 ROCK Pi also features one USB 3.0 host and one USB 3.0 OTG ports, each 5Gbps/s, working independently. The USB 3.0 OTG can work as USB device such as Android ADB or USB gadgets. A hardware switch is provided for OTG mode switch. ROCK Pi supports mainstream AI stack with GPU acceleration. 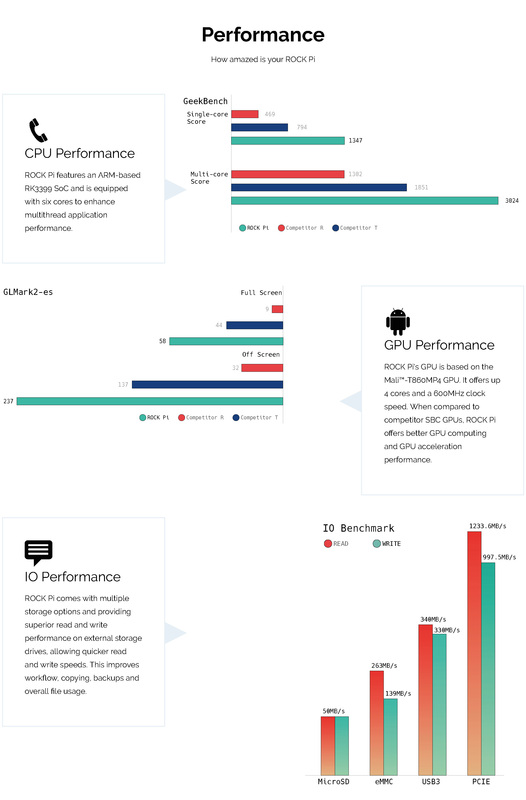 Further more, a dedicated hardware NPU accelerator coming up next for ROCK Pi will boosts complex Machine Learning algorithm and reduce the power. Industrial standard MIPI CSI connector makes it easy to connect exsit cameras to ROCK Pi and ROCK Pi also supports industrial standard MIPI DSI for LCD and touch screen. 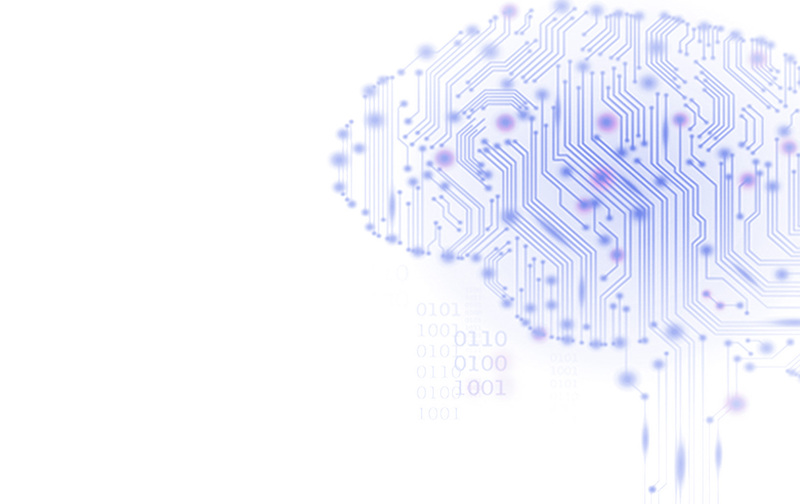 With hardware accelerated algorithm, it's great for Computer Vision application, Robotics and much more. ALLNET has a successful track record of introducing new products and vendors into various market segments and regions. A team of marketing, hardware and software specialists with the necessary skillsets combined with the excitement for new technology are the foundation of the successful collaboration with resellers, makers or developers and are our strong backup for your project implementation. The range of services covers pre- and post-sales support, trainings, ODM, marketing, logistics and a deep understanding and excitement of the technology we are promoting and selling. This does not only count for the relationship to our clients it as well is the major pillar of our relationship to the vendors we are promoting. combined with an excellent understanding of the local markets and a passion for what we do makes us the perfect partner. With excellent marketing reputation, perfect service and experienced technology background, ALLNET provides the services which are the key to our partner’s business success!